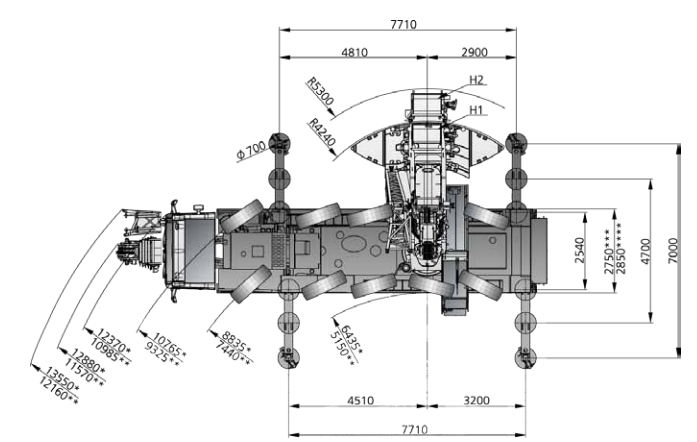 Jobsite accessability: Most compact crane in its capacity class with a total length of 14.3 m and a carrier width of 2.75 m.
IC-1 Plus: Real time calculation of lifting capacities allows working in a higher capacity range with less counterweight; this increases versatility and reduces transport costs. Reduced operational costs: Single engine concept, start-stop function and an intelligent motor management system reduces operational cost and maintenance. 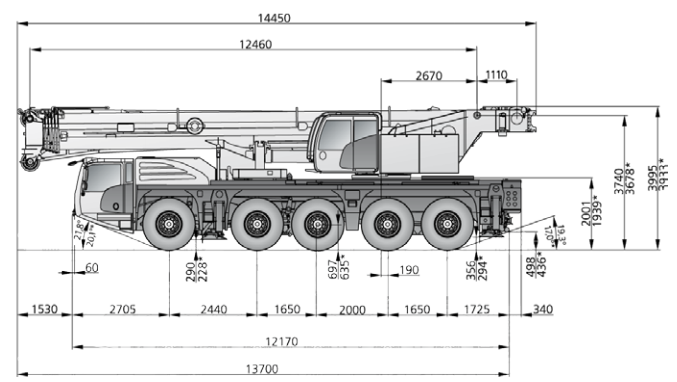 Clean axle loads: The crane stays under the 12 t axle load limit, still being able to carry up to 650 kg of payload. Excellent maneuvrability: All-axle steering, independent rear axle steering and dynamic launch control.